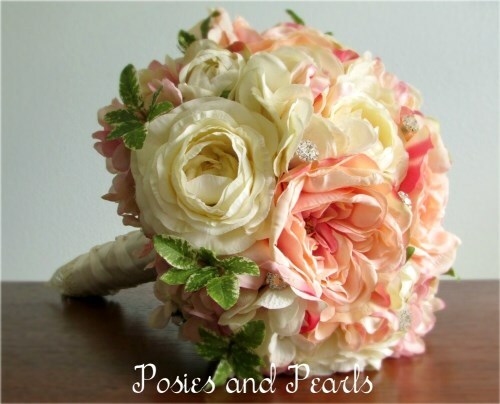 A glorious suite of premium silk flowers, including blush pink and cream colored hydrangea, ranunculus, delphinium and fully opened roses, are arranged into a stunning bridal bouquet! 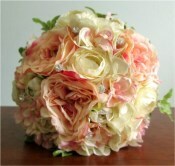 Each bloom is carefully selected and shaped into this clustered, hand-tied bouquet. A touch of variegated pittosporum surrounds the blooms. 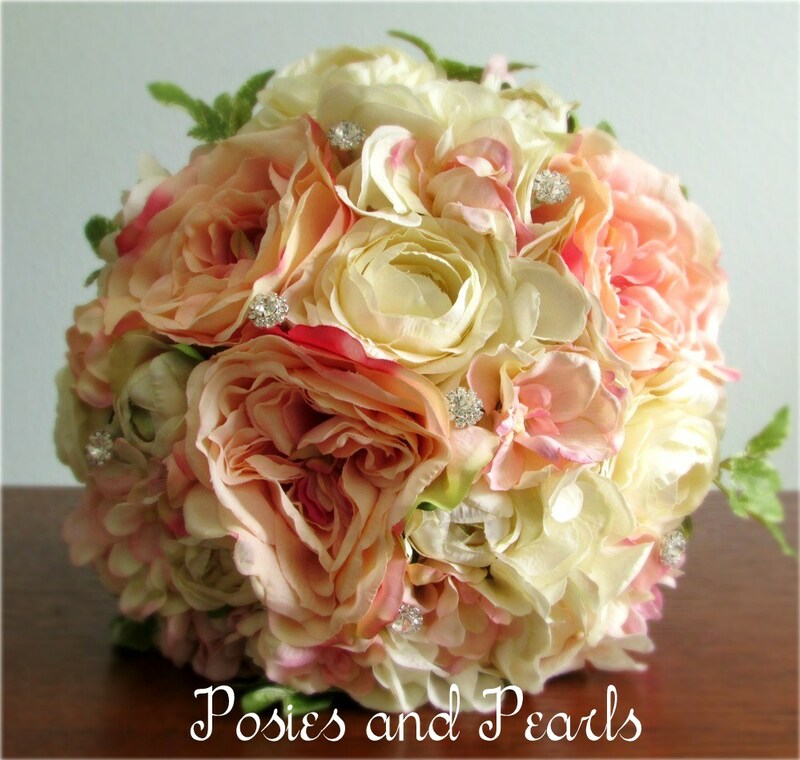 Rhinestone crystal accents scattered throughout the bouquet add a subtle, yet glamorous sparkle. 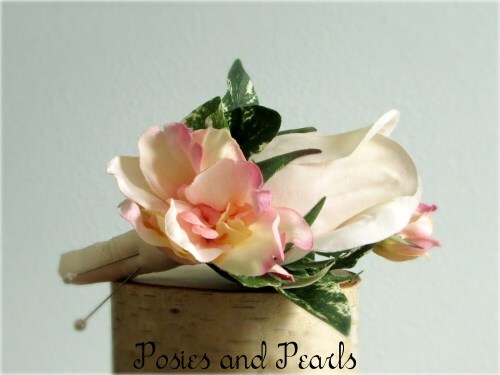 Luxurious satin ribbon is French knotted around the stems and secured with luminous pearl-tipped pins. 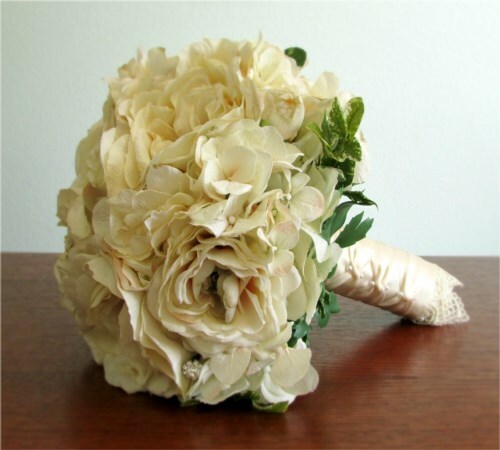 The finishing touch is the delicate, ivory lace trim at the base of the stems. 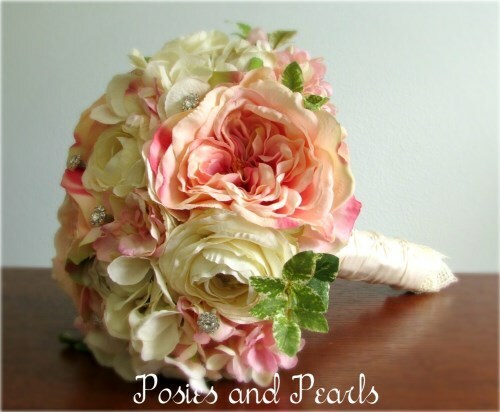 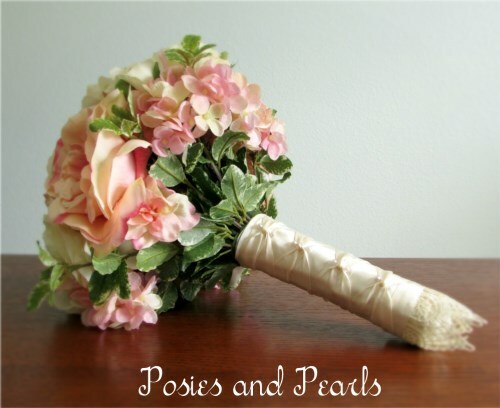 This vintage inspired bouquet is ideal choice for a bride and will surely be treasured for years to come!